Over the last two years, the affordability of Greater Seattle area real estate has become a rising concern. Many buyers have decided to move a bit more north or south of major job centers to find the price point that works for them, or have foregone a single family residence (SFR) and turned to a condominium (condo) as an alternative. Because of this, along with many more baby boomers moving to a more right-size home for their lifestyle, demand for condos has been on the rise. The median price for a condo in King County in June was $385,000 compared to the median price of a SFR of $660,000, which is a 71% difference! In Snohomish County, the median price for a condo in June was $295,000 compared to the median price of a SFR of $450,000, which is a 53% difference! Condos are providing a substantial cost savings if the condo lifestyle works for a buyer. The condo lifestyle can be wonderful! Imagine not having to do yard work and living space-efficiently. 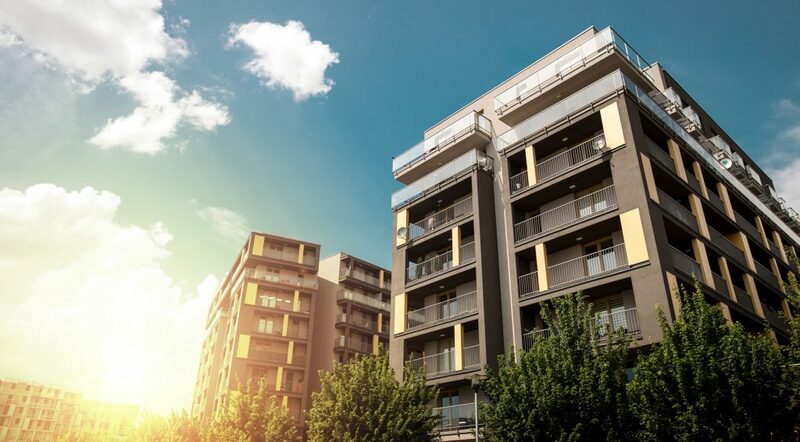 There are many condo buildings that cater to the more simplified life that baby boomers are craving, featuring secured parking, elevator access, high-end features, great walk scores and possible views. Much like the SFR market, the condo market has experienced high demand resulting in low inventory. Our thriving job market and rising rents have drawn folks to condos as well. Many of the job transferees coming into the area due to the tech industry are younger, unattached and without children, making a condo a natural fit and in some cases, less expensive than rent. In fact, condo inventory currently sits at 0.5 months of inventory based on pending sales in King County, and 0.6 months in Snohomish County. Theoretically, this means that if no new condos came to market we would be sold out in two weeks. That is quick! While inventory has decreased, sales have slightly increased! Pending sales have almost mirrored new listings over the last 12 months, resulting in 1% more sales in King County and 5% more in Snohomish County. There were 4% less new listing in King County year-over-year, yet Snohomish County posted a 6% increase in new listings. This is due to some new condo developments to the north and more and more re-sale owners regaining their equity position and making moves. Prices are on the rise too! An important aspect to measure in regards to condos is price per square foot. In King County the price per square foot is up 15% complete year-over-year and up 12% in Snohomish County, which is a big jump. This is on top of double-digit price growth the year prior. The average cost per square foot in King County in June was $404 per square foot, and $240 in Snohomish County. This illustrates the affordability difference between both counties, which is why the increase in sales in Snohomish County is markedly up. Condos provide a more affordable option for buyers, and if one is looking to land in Snohomish County, condos can be the most affordable housing purchase option available, while still being close to job centers. The good news for condo sellers is that days on market are down by 11% in King County, and 31% in Snohomish County. In June, the average days on market was 16 days in King County and 10 days in Snohomish County. Also, in June the average list-to-sale price ratio in King County was 105% and 103% in Snohomish County. So, what does all of this mean? The condo market is much like the SFR market in regards to demand, price appreciation and the affordability divide between King and Snohomish Counties. It is a great market for sellers to realize a positive return, and buyers who can’t afford or don’t want the maintenance of a SFR can find opportunity with a condo. If you or anyone you know would like more information on the Greater Seattle condo market, please contact one of our agents. It is our goal to help keep you informed and empower strong decisions.